Yurikamome is a new traffic system a little like a roller coaster. 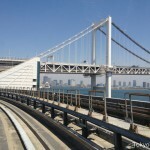 Yurikamome is a new traffic system which connects between central Tokyo and a waterfront area along Tokyo Bay. 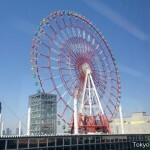 When you will go to Odaiba, you may get on this Yurikamome. Yurikamome means black-headed gull in Japanese. Black-headed gull is one of birds that are living at Tokyo Bay. 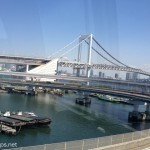 Yurikamome starts from Shimbashi Station, goes through Odaiba, and finally reaches Toyosu Station. 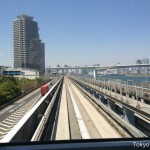 And then the train go back from Toyosu Station to Shimbashi Station on the reverse direction. 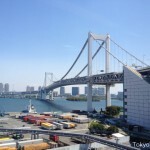 Toyosu district is the move place of Tsukiji Fish Market in the future where Tokyo Metropolitan Government chose. Yurikamome is a small and driverless train. Central computer systems control the train remotely. 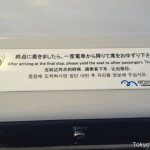 So passengers can sit in the front seats of the train. 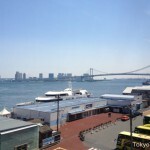 If you can sit there, you will be able to enjoy maximum its nice view of the waterfront area in Tokyo. 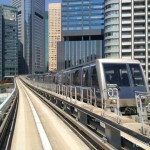 The train accelerates at a straight line, runs beside high buildings. 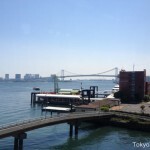 It crosses Rainbow Bridge on Tokyo Bay, and also pass through near a ferris wheel of Odaiba and Tokyo Big Sight International Exhibition Center. 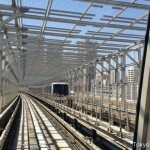 Its fare is a little more expensive than other normal railways in Tokyo. 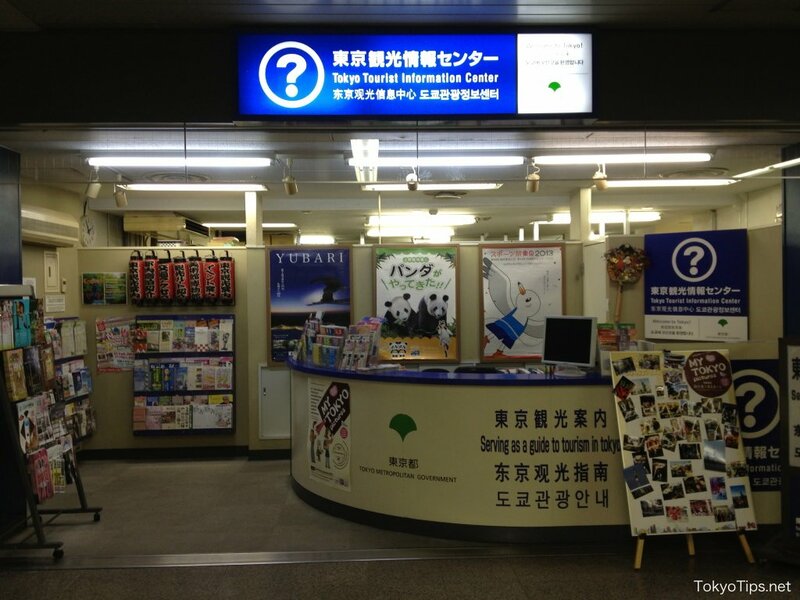 When you get on Yurikamome, you can pay its fare by Suica or PASMO and other electlic money cards of Railways. Yurikamome is weak to strong winds. 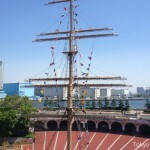 Yurikamome is passing through the waterfront area along Tokyo Bay. Rarely very strong winds blow in central Tokyo. This area receives strong winds from sea directly. If strong winds blow over its defined value, Yurikamome will stop running. If you will get on it on a very strong windy day, you had better to care it. See the official website of Yurikamome. 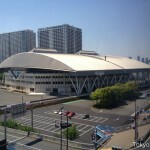 Yurikamome starts out from Ariake Station. 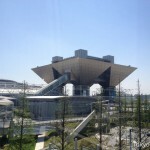 This building is East Hall of Tokyo Big Sight. 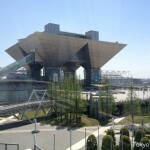 Tokyo Big Sight is a large international exhibition hall. Yurikamome turns to the right. 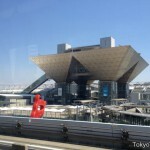 This building is “conference tower” which is emblematic of Tokyo Big Sight. 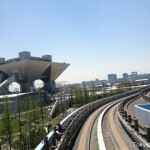 There was no event at Tokyo Big Sight on this day. Yurikamome stops at Kokusai-tenjijo-seimon Station. What is that red circle? That circle is a ferris wheel of Odaiba. This large land is a temporary car park for weekends. One more Yurikamome came from the opposite direction. When Yurikamome makes a sharp turn, it slows down automatically. This building is “the SOHO”. Many small offices are there. Left side is Museum of Maritime Science. 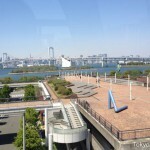 A beige building in back is Grand Pacific Le Daiba. It is a five star hotel. This building is a exibition hall of its museum. But it is closed to renew. 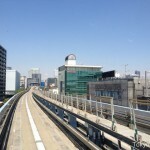 This is “Wangan Line” of the Metropolitan Expressway. 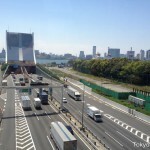 Undersea tunnel of the metropolitan expressway is. The left side building is Hotel Nikko Tokyo. It is a luxury hotel. Shiokaze park is. 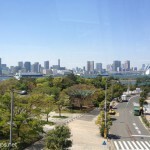 The opposite side of the bay is central Tokyo. 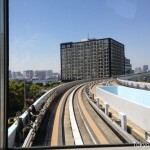 Yurikamome stops at Daiba Station. “Statue of Liberty” is in this photo. Can you find it? 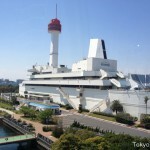 This building is Fuji Television. 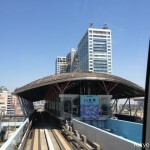 It is one of Japanese key station. 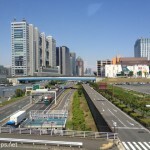 Yurikamome passes through the central street of Odaiba. 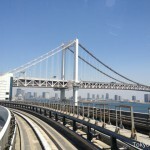 “Daiba Line” of Metropolitan Expressway is. The track will be fenced on both side and upper. 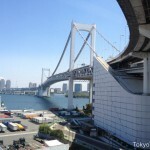 Yurikamome will go into Rainbow Bridge. 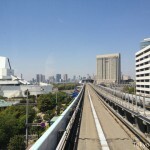 The upper side is Metropolitan Expressway Daiba Line. Yurikamome crossed Rainbow Bridge to central Tokyo. A train comes from the opposite side. 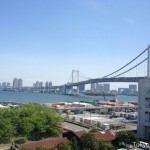 Yurikamome are whirling down from Rainbow Bridge. 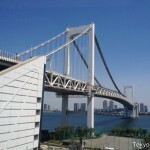 Yurikamome is nearing to Rainbow Bridge. Yurikamome stops at Takeshiba Station. 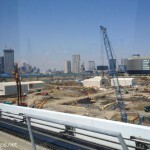 Yurikamome goes toward Shiodome area. 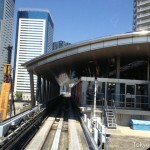 Yurikamome stops at Shiodome Station. 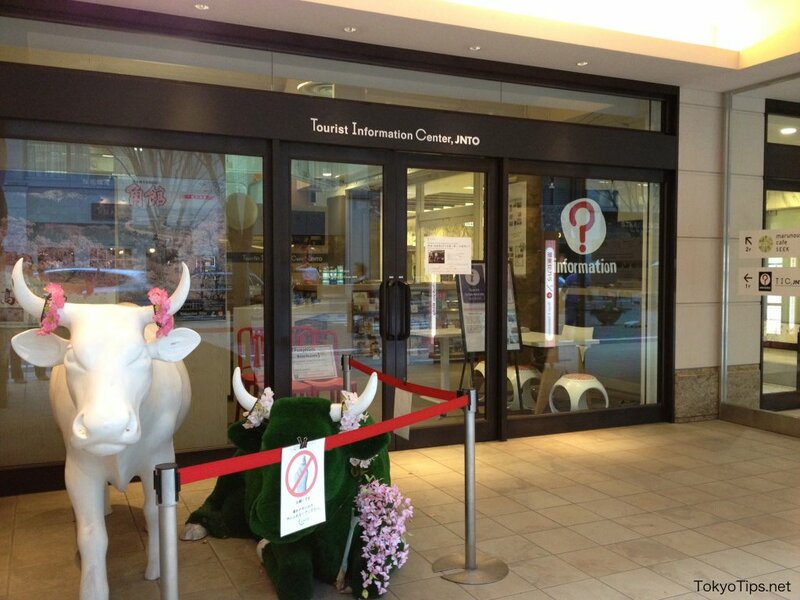 A new tourist information center opened in JP Tower. It is in front of Tokyo Station. 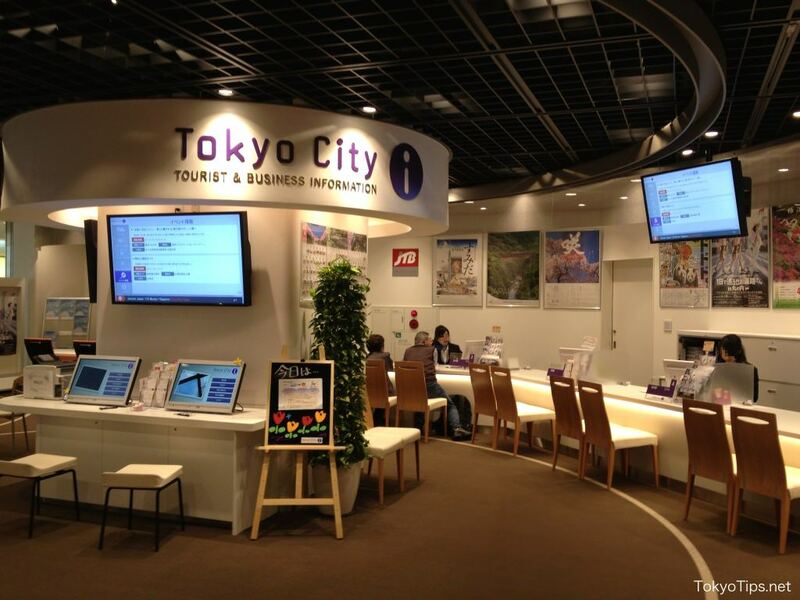 A new tourist information center named “Tokyo City i” opened in JP Tower on March 21 2013. JP Tower is a new 38 story building in front of Marunouchi south entrance of Tokyo Station. Tokyo City i is on the first floor and the first basement floor. Generally, Japanese, English, Chinese, and Korean language are available there. Not only Japanese, but also English, Chinese, and Korean speaker can give you some advice about tourism. They also can book hotels and tickets for you. This counter is on the first basement floor. You can consult about sightseeing. You can search many information by this touch panels. You can get many free brochures about towns, facilities, and activities in Tokyo. Some free information machines are there. Brochures in foreign language are about 30 percent. English, Chinese, and Korean brochures are. Other brochures are in Japanese. 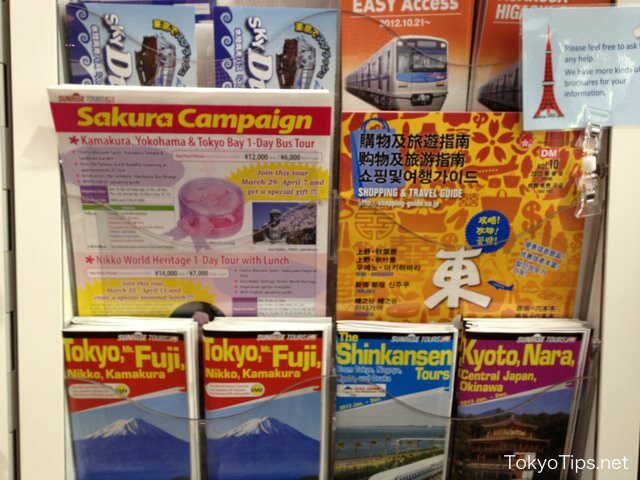 Many brochures written in English, Chinese, and Korean are there. You can exchange foreign money on the first floor. A café is on the first basement floor. You can eat light meals and drink there. *Meals and drinks are fee-based. Tourist information centers in Tokyo. 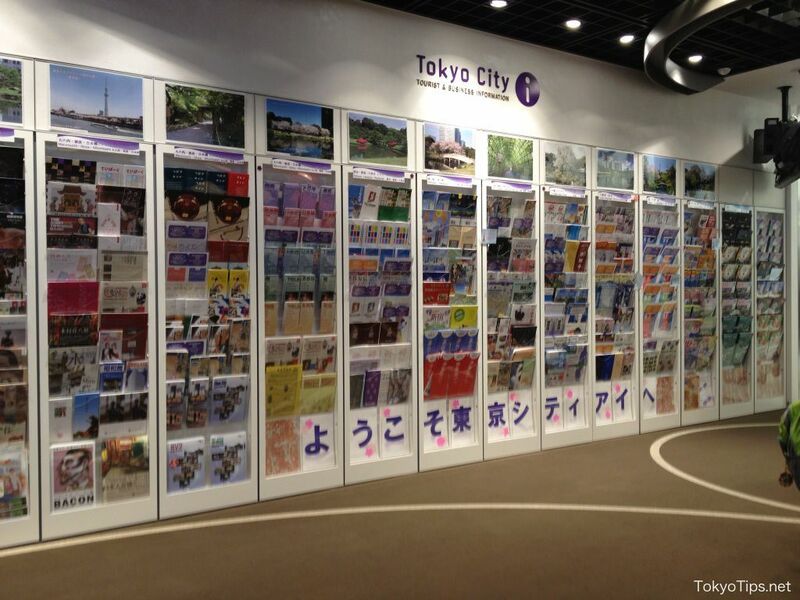 Many tourist information centers are available in Tokyo. Several public and private sectors run them. They are in main stations and airports, provide information on sightseeing spots and events taking place in Tokyo, offer guidance on public transportation. 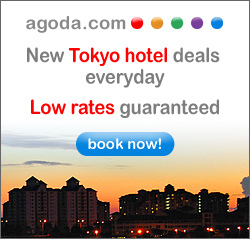 Japan National Tourism Organization operates only for foreign visitors. [Business Hours] 9:00 – 17:30 *Closed on 1 Jan.
[Languages] English, Chinese and Korean. 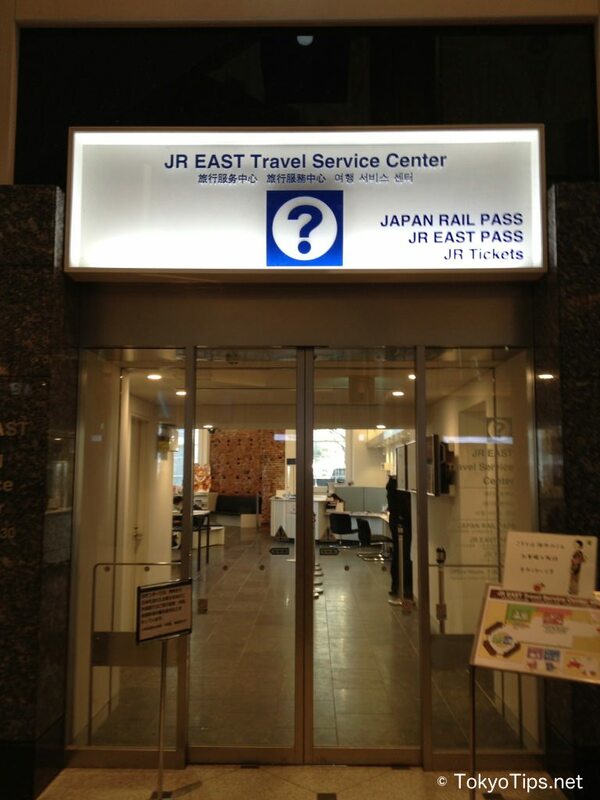 East Japan Railway Company operates only for foreign visitors. *Direct underground passage from Tokyo Sta. Mori Kanko Trust Co.Ltd. operates. It is a tourism business company. [Business Hours] 10:00 – 19:00 *Except the year-end through New Year holidays and days specified by the building. 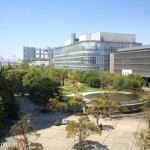 Taito ward office operates. You can get information about Asakusa mainly. It is in front of Kaminarimon Gate. It has clean restrooms anybody can use. [Business Hours] 9:00 – 22:00 *Except days specified by the building. Tobu Railway Company operates. You can get information about Nikko and Kinugawa. [Business Hours] 7:45 – 17:00 *Closed on 30 Dec to 3 Jan.
[Nearest Station] Oshiage Sta. and Tokyo Sky Tree Sta. 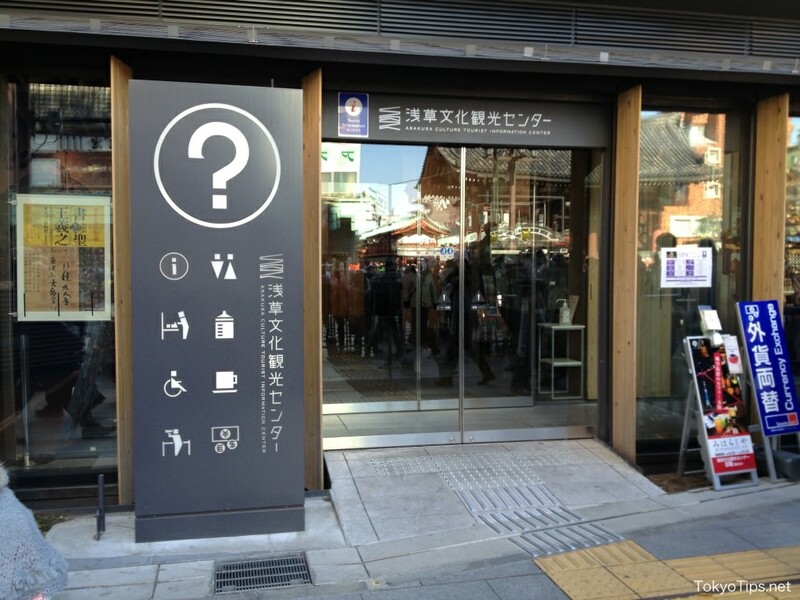 [Business Hours] 10:00 – 21:00 *Except days specified by the building. [Languages] English. Chinese: Part-time, Korean: Part-time. Odakyu Electric Railway Co.,Ltd. operates. You can get information about Hakone. Keikyu Corporation operates. Keikyu is a railway company. 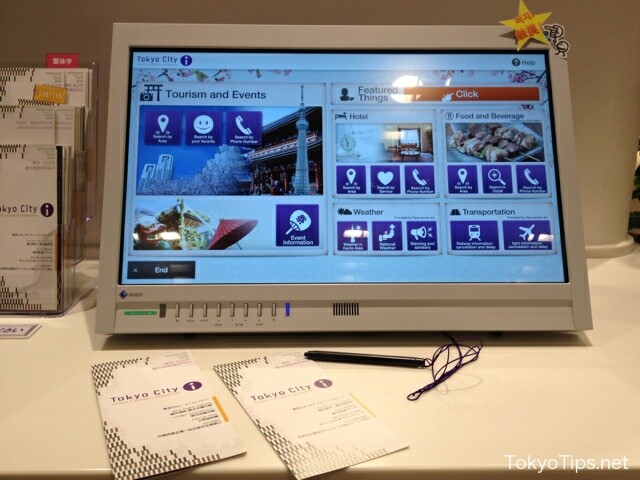 You can get information about Tokyo and Yokohama. East Japan Railway Company operates. 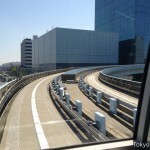 There are two main ways to go to central Tokyo from each airport. They are express trains and highway buses. Generally express trains are faster than highway buses. If you transfer to local trains from express trains on weekdays, be careful to commute times. Local trains are very crowded at commute time in Tokyo. So, you may not be able to get on local trains if you have big baggages. Highway buses goes to some hotels directly. If you stay the hotels, the bus may the best way. But buses may be influenced by traffic jam. When you use the bus, you should have enough time to move. 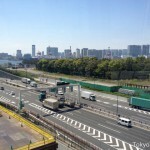 How do you go to central Tokyo from Narita Airport and Haneda Airport? 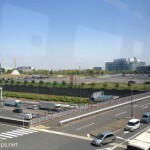 Narita Airport is a little far place from central Tokyo. 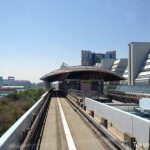 There are three main ways to go to central Tokyo from Narita Airport. 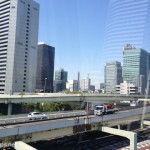 The best way is depends on where you want to arrive in Tokyo. Narita Express and Keisei Skyliner are express trains that connect Narita Airport and central Tokyo. Highway buses go direct to major places and hotels. Narita Express is an express train of JR. It connects between Narita Airport and Tokyo Sta., Shibuya Sta, Shinjuku Sta. Ikebukuro Sta, and Yokohama Sta. If you are a foreign tourist and you will get on Narita Express from Narita Airport, you can save money more to buy its ticket and an electric money card called “Suica” in sets at Narita Airport. Because this Suica is worth 1,500 yen already as electric money. See Suica & N’EX for more details. Skyliner is an express train of Keisei Dentetsu. 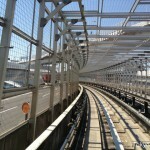 It connects between Narita Airport and Ueno Sta. Skyliner is the fastest train in Japan except for Shinkansen now. 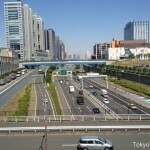 Many highway buses run directly from Narita Airport to major places and hotels. The buses run highways. Although convenient, but they may be influenced by traffic jam occasionally. 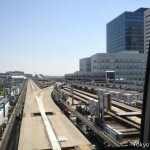 Narita Express and highway buses are available. 3,000 yen / about 75 min. – 125 min. 3,110 yen / about 1 hour and 20 min. 3,110 yen / about 1 hour and 27 min. 3,000 yen / about 85 min. – 145 min. fare: 3,110 yen / time: about 1 hour and 33 min. 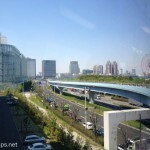 *Highway bus goes only Hotel Metropolitan and Sunshine City Prince Hotel. The bus does not go Ikebukuro Station.fare 3,000 yen / about 75 min. – 140 min. fare: 4,180 yen / time: about 1 hour and 31 min. 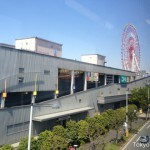 *Highway Bus arrive at Yokohama City Air Terminal “YCAT”. 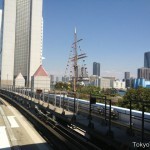 It is close to Yokohama Station.fare 3,500 yen / about 85 min. – 110 min. Keisei Sky Liner is available. fare: 2,400 yen / time: 43 min. fare: 3,000 yen / time 75 min. – 130 min. fare: 3,000 yen / time: 65 min. – 85 min. fare: 2,400 yen / time: 55 min. – 95 min. 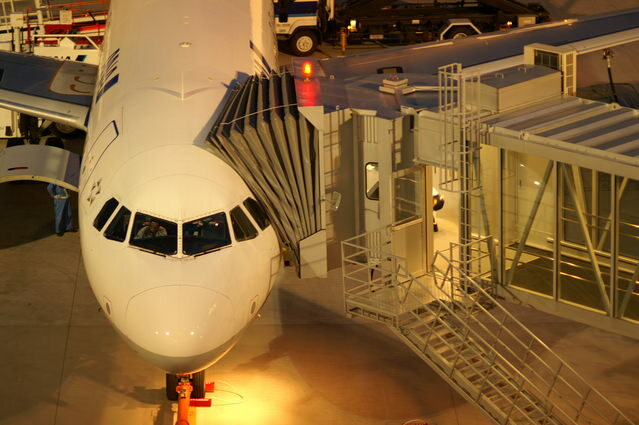 Haneda Airport is at a little south from central Tokyo. 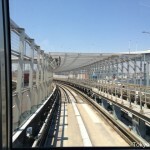 Haneda Airport is nearer than Narita Airport to central Tokyo. 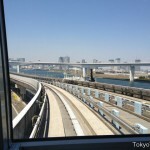 There are three main ways to go to central Tokyo from Haneda Airport. Highway Buses go direct to major places and hotels. 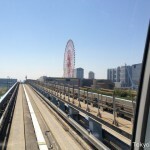 Monorail connects Haneda Airport and Hamamatsucho Station. 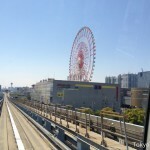 Keikyu goes mainly to Shinagawa and Yokohama. The best way to you is depends on where you want to arrive. Many Express Buses run directly to main hotels in central Tokyo. These buses may be easy way if you will stay in the hotels. But the buses may be stuck in traffic jam. You should have enough time if you use the express bus. 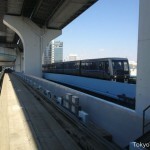 Monorail reaches Hamamatsucho Station of JR Yamanote line. You will transfer to other trains at Hamamatsucho Station to go to your destination. JR Yamanote Line will be crowded at commute time. You may not be able to ride if you have some big baggages. Be careful. fare 470 yen / 15 min. Keihin Kyuko is a private railway. We call “Keikyu” for short. Keikyu goes to Shinagawa, Kawasaki, Yokohama, and goes directly to Higashi-Ginza and Asakusa through Toei Asakusa Line. You can go to Shibuya, Shinjuku and Ikebukuro with one transfer to JR Yamanote Line at Shinagawa Station. These trains will be crowded at commute time. fare 600 yen / 37 min. fare 550 yen / 26 min. fare 400 yen / 15 min. fare 360 yen / 13 min. fare 440 yen / 25 min. *These information are as at the time of posted. They may be changed after posted. Ginza is located on east central Tokyo. 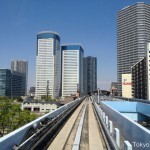 You can get on 6 railway lines from Ginza including Yorakucho Station and Higashi Ginza Station. And Ginza is neighbor town of Tokyo Station. So, Ginza is quite convenient to go everywhere. 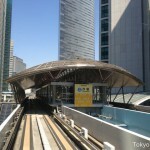 Yurakucho Station is a 5-minute walk from Ginza Station. 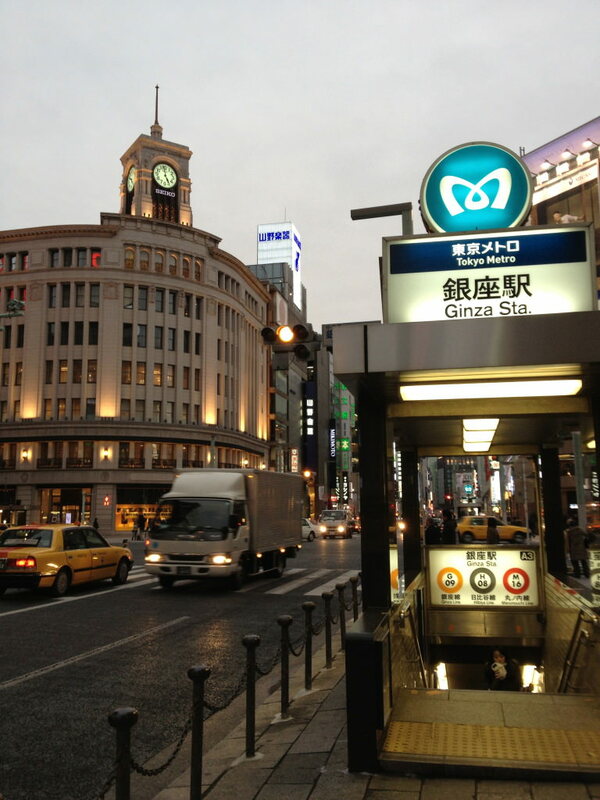 Higashi Ginza Station is also a 5-minute walk from Ginza Station and a neighboring station of Tokyo Metro Hibiya Line. You can go to Higashi Ginza Station through an underground passage. So you do not have to mind rain. Also you can go up to some exits near Yurakucho Station through an underground passage. But it is a little difficult and complicated tunnel. 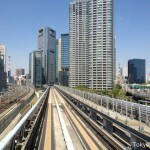 There are many railway lines and subway lines in Tokyo. So you can select some better ways to go places where you want to go. You can go there by local trains. JR Yamanote Line stops at center of Akihabara. Hibiya Line stops at a little far side from electric town of Akihabara. (1) Ginza Sta. 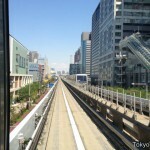 –> ( Tokyo Metro Marunouchi Line) –> (2) Kokkai-gijidomae Sta. (1) Ginza Sta. –> ( Tokyo Metro Ginza Line) –> (2) Shimbashi Sta. (1) Ginza Icchome Sta. 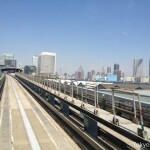 –> ( Tokyo Metro Yurakucho Line) –> (2) Toyosu Sta. (1) Ginza Sta. –> ( Tokyo Metro Hibiya Line) –> (2) Hatchobori Sta. (1) Ginza Icchome Sta. 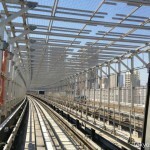 –> ( Tokyo Metro Yurakucho Line) –> (2) Shinkiba Sta. (1) Ginza Sta. 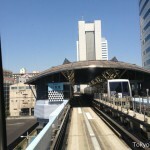 –> ( Tokyo Metro Hibiya Line) –> (2) Nihombashi Sta. 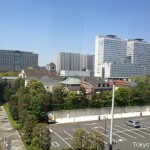 Tokyo Station is a neighboring station of Tokyo Metro Marunouchi Line. Yurakucho Station is also a neighboring station of JR Yamanote Line. 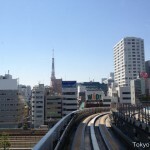 Both Tokyo Metro Ginza Line and Hibiya Line go to Ueno directly. So, both lines are no problem. Cars of Ginza Line are a little small than other lines. Also you can use JR Yamanote Line from Yurakucho Station. Three lines’ stations are near. (1) Yurakucho Sta. –> ( Yamanote Line) –> (2) Shimbashi Sta. –> transfer– > (2) Shimbashi Sta. 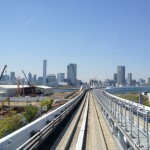 ( Tokaido Line) –> (3) Yokohama Sta. (1) Ginza Sta. 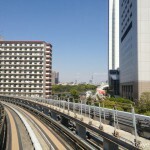 –> ( Tokyo Metro Hibiya Line) –> (2) Nakameguro Sta. 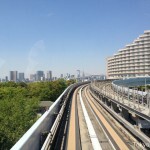 There are two railways to go to Hakone from central Tokyo. Odakyu Romance Car and JR Tokaido Shinkansen. (1) Ginza Sta. –> ( Tokyo Metro Marunouchi Line) –> (2) Shinjuku Sta. (1) Ginza Sta. –> ( Tokyo Metro Marunouchi Line) –> (2) Tokyo Sta. –> transfer –> (2) Tokyo Sta. –> ( Tokaido Shinkansen) –> (3) Odawara Sta. (1) Yurakucho Sta. 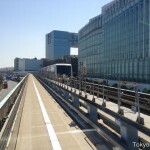 –> ( Yamanote Line) –> (2) Shinagawa Sta. (1) Ginza Sta. –> ( Tokyo Metro Hibiya Line) –> (2) Kitasenjyu Sta. –> transfer –> (2) Kitasenjyu Sta. –> (Tobu Line) –> (3) Shimoimaichi Sta. (1) Yurakucho Sta. –> ( Yamanote Line) –> (2) Hamamatsucho Sta. (1) Ginza Sta. –> ( Tokyo Metro Hibiya Line) –> (2) Ueno Sta. Tokyo Sta. 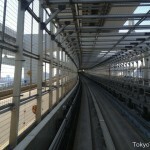 (JR Tokaido Shinkansen) –> Kyoto Sta. Tokyo Sta. 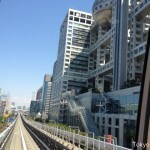 (JR Tokaido Shinkansen) –> Shin-Osaka Sta. Tokyo Sta. 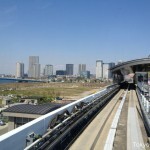 (JR Tokaido Shinkansen) –> Shin-Kobe Sta. Various colored azaleas are full bloom at Nezu Shrine Azaleas Festival now. Tokyo Disneyland starts 30th anniversary year today. 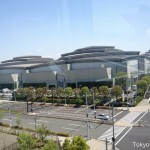 Tokyo International Forum holds a classical music festival on the beginning of May. 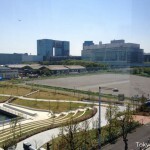 KITTE is a new shopping mall which opened March 21 2013 in front of Tokyo Station. Cherry blossoms season in 2013 has gone. Chidorigafuchi in central Tokyo. Tokyo Sky Tree illuminates special like cherry blossoms until April 10. Polls. Tell me your opinion. Click please. Where do you want to go in Tokyo? 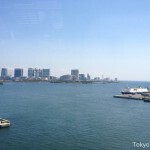 © 2014 TokyoTips.net. All rights reserved.